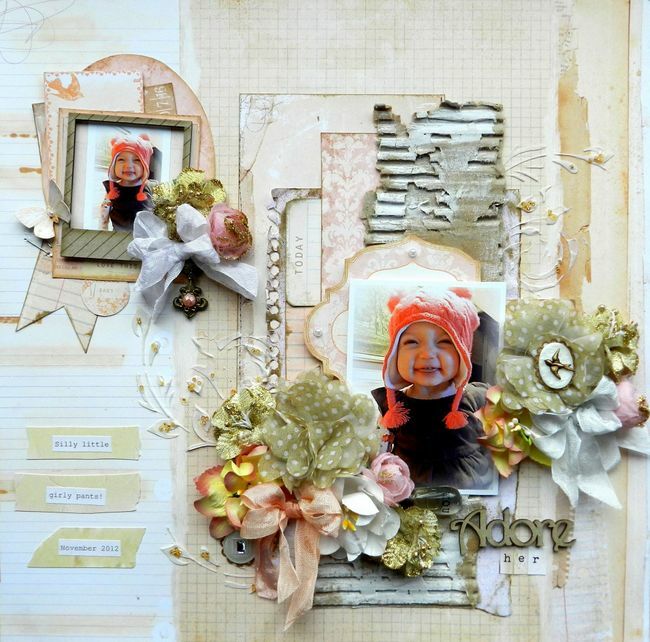 Erin Blegen: My Scrap Cabin: More From Manor House~! My Top 12 of 2012~! More from the January Kit @ C'est Magnifique~! C'est Magnifique January Kit Reveal~! C'est Magnifique: January Kit Sneak~!! *NEW* Quick Picks Products from Webster's Pages~! 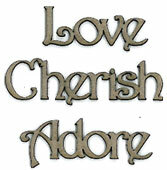 Another Look at "Modern Romance"...! 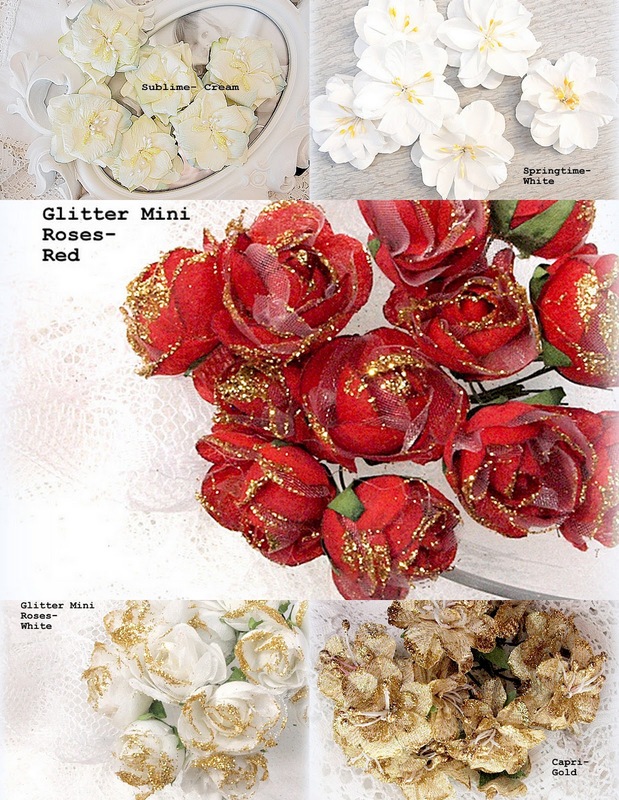 All About Color: Manor House Creations~! C'est Magnifique December Sketch Challenge~! It seems my daughter has been in the spotlight a bit lately here on my blog! But that's okay~ she's been pretty sick this past week so she deserves it :). I've used a combination of flowers from the amazing Spring Collection from Manor House. I've just fallen in love with the Powder Puffs in this collection! 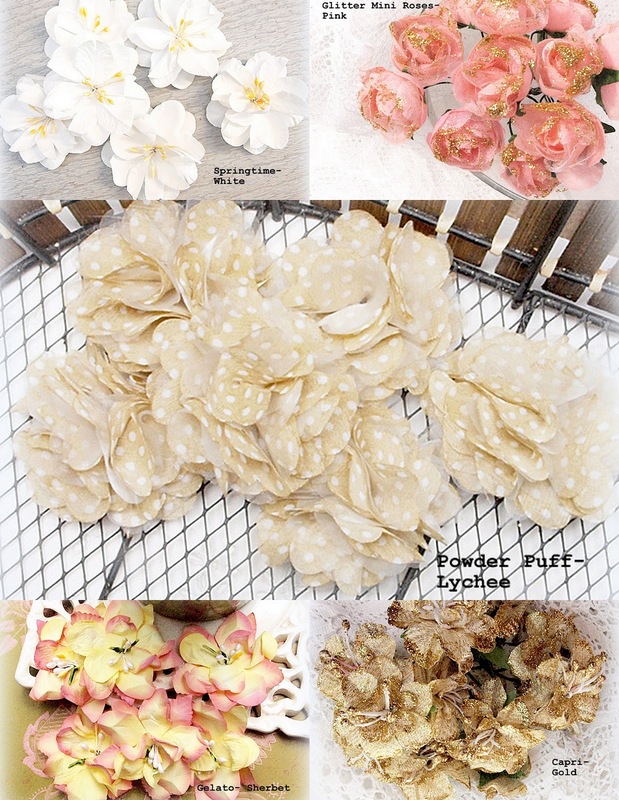 Here I've used the cream/spotted Powder Puff "Lychee" flowers which I completely adore :)~! There's plenty of glitter to be found in the Spring Collection as well! Who doesn't love some sparkle? Next up, I have a little altered wreath that I dressed up with some Spring Collection flowers as well! I'm definitely traditional when it comes to my Christmas decor, so I went with the classic red, green, and white here :). Thanks for checking in :)~! Have a beautiful day! Beautiful layout! Love the pictures with your daughter! Awwwww....what a sweetheart!!!!!!!! Your design is fabulous!!! I love the flower clusters and the frame you used to highlight the smaller photo!!! Great work!!! MERRY Christmas Erin, lots of kisses from me!!! This Lo is one of my favourite from you this month. It is so airy, fresh and even warm inspite of the winter. Erin I love the cheeky little look on your daughter's face, she's just so cute. I love the layout as well and the colour of the Manor House flowers is amazing. Have you used a template and texture paste as well? Your layout and wreath are so beautiful! Hope your daughter is feeling much better soon. Love your creations! Simply beautiful! Amazing creations Erin as always!! Wishing you a Merry Christmas!!! Enjoy your holidays!!! Kære Erin, smukke ting du viser i dag, og lille Aspin med gavtyve ansigtet er så vidunderlig. juleknus morkaren. Such amazing creations! Aspen really draws the cutest faces :) I love how you arranged the flowers. 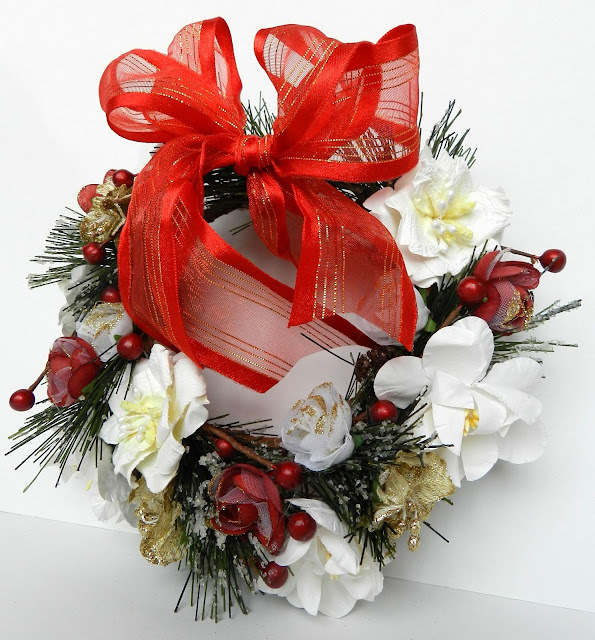 Your wreath looks just amazing too! Such a gorgeous bow! Love the layout! Really stunning! And that photo is too cute! She needs to get with Reese...they both seem to have a love of hats!! :) Totally adorable photos and I love the great texture on this one Erin..especially the corrugated cardboard! she really is a wee cutie patootie ... beautifully scrapped.